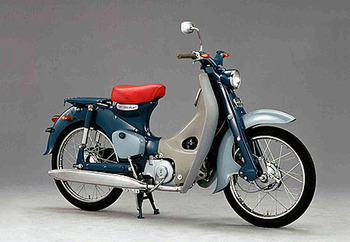 The venerable Honda Super Cub motorcycle is the best-selling vehicle in the history of internal combustion, and there are now more than 60 million of them on the road. That’s an amazing figure that speaks to the strength of a 49 cc motorcycle Soichiro Honda designed 50 years ago, helping spur Japan’s eventual rise to dominance in the motorcycle industry. A Philipsburg [Pennsylvania] man in jail for allegedly slashing a district judge’s tires got out of the Centre County Correctional Facility on Wednesday, walked across the street and boosted a car… according to police. Shawn Allen Linberg, 18, who was in jail for allegedly slashing the tires of a car belonging to magisterial district judge, was arrested by state police in Philipsburg and arraigned Friday on theft and receiving stolen property charges. Linberg was sent back to the Centre County jail on $50,000 straight bail set by District Judge Daniel Hoffman.